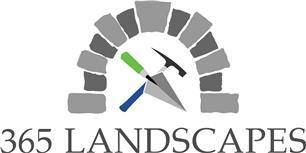 365 Landscapes - Driveways/Patios/Paths, Landscaper based in South Croydon, Surrey. 365 Landscapes is family run business based in South Croydon, serving the South East we offer a wide range of landscaping and paving services specialising in resin bound/bonded and pressure cleaning. We use a wide range of specialist machinery, tools and chemicals to ensure you get the best results each time. We pride ourselves in honesty and reliability providing quality and long lasting work for you to enjoy for years to come.